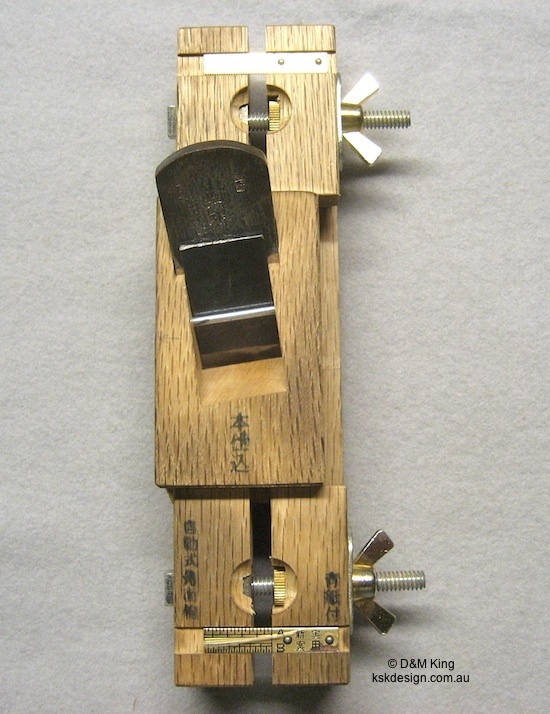 Japanese mentori-ganna (chamfer planes) really are wonderful planes to use. 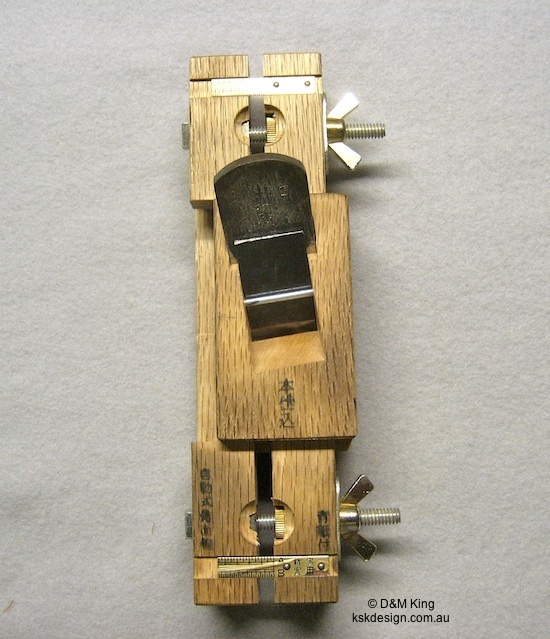 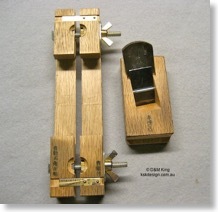 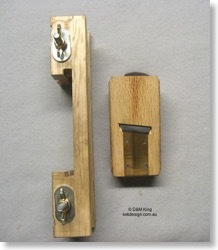 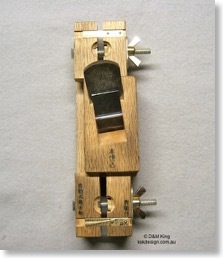 The photo below shows my 45° chamfer plane (also called kakumen-ganna 角面鉋). 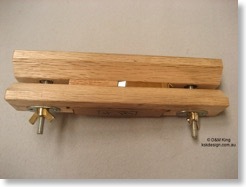 It consists of two parallel fences set on the bottom at 45° to each other to form a 90° angle. 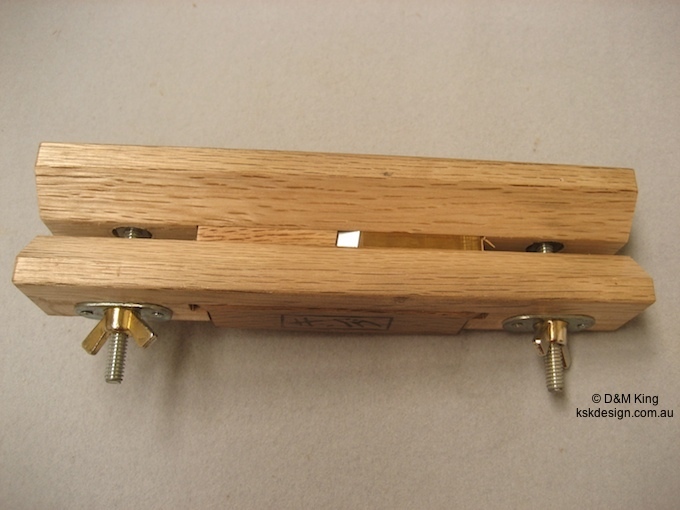 They are attached to each other with bolts, nuts, and finally wing nuts. 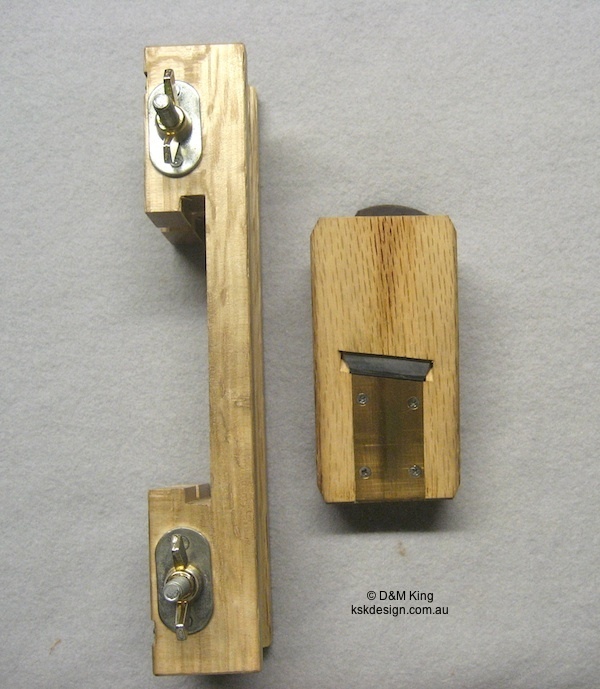 Adjusting the wing nuts allows one fence to move in and out freely so that the size of the 45° chamfer can be increased or decreased. 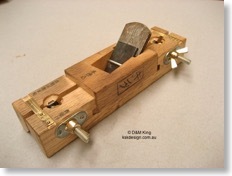 These parallel fences hold the plane dai in grooves. 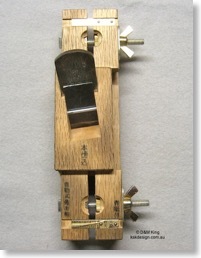 The dai can be moved along these grooves so the entire blade can be used. 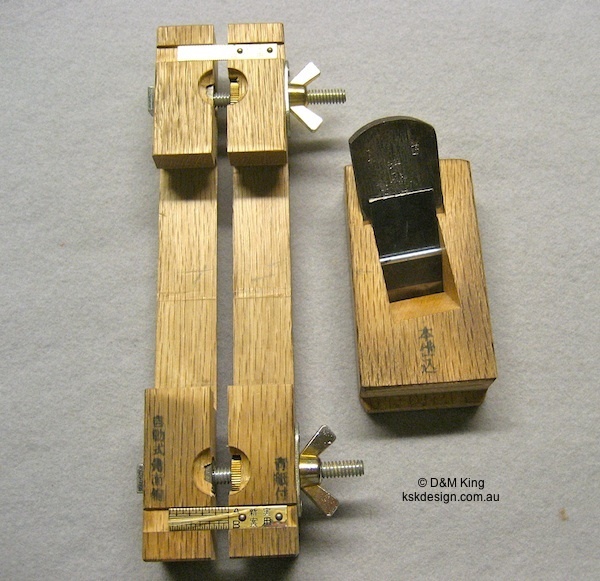 The blade itself is set in the dai at an angle so that it gives a slicing cut and a beautifully glistening chamfer surface. 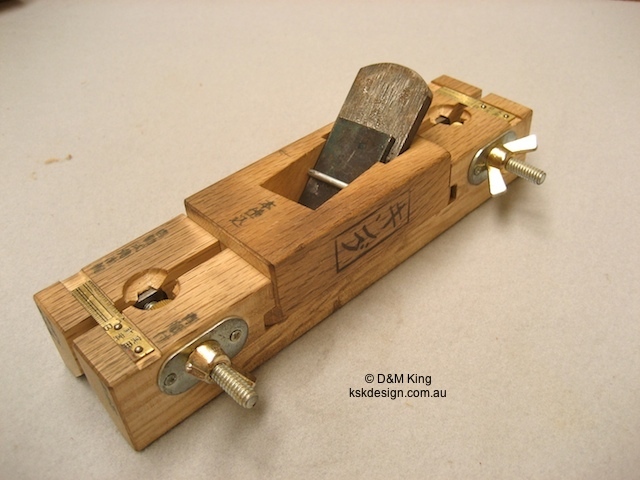 When the blade needs to be sharpened, the dai is removed from the fences, then the blade is removed from the dai in the normal way.